Hundreds of kilometres away from the Seychelles’ main island of Mahé, outside the country’s administrative and electoral districts, are the Outer Islands. These consist of five remote and largely untouched coralline regions best known for scuba diving, cruises, snorkelling, and fishing trips. As the islands have no natural fresh water sources, visitors stay in nearby Desroches in the Amirante Islands, or Alphonse Atoll. There are temporary on-board boat living options are also available. The islands’ dive sites are famous for their underwater canyons, manta rays, turtles, and gorgonian fans. Frigate birds, terns, tropic birds, and other seabirds can also be found in Aldabra and Cosmoledo. Seychelles’ Southern Coral Group consists of the small sand cays of Île Platte and Coëtivy. Both islands are important havens for seabirds and turtles. A coral reef and sheltered lagoon surround the tiny island of Platte. It also has a coconut plantation, a settlement area for workers, and a few guest cottages. Coëtivy, which has a long, unbroken shoreline, is an agricultural settlement with shrimp farming and fishing operations. The island does not have tourist facilities. 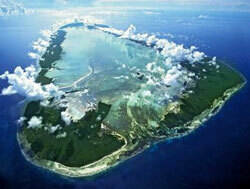 Platte Island is a low, level sand cay surrounded by barrier reefs. Small boats taking the northwest route can easily pass through the reefs into a lagoon enclosed by them. A runway 914 meters long cuts across the island and is used by charter aircrafts. Platte is an important haven for birds and turtles. Parts of the island are wooded and efforts to further vegetate it include planting coconut trees. There are a few guest cottages here. Coëtivy is a sand cay more than 250 kilometres away from Mahé. Shrimp farming is the main agricultural activity on the island, which has a complete and efficient processing plant where freshly harvested prawns and shrimps are brought to be frozen. A feed factory was consequently built here for fresher production. Both an economic and tourism project, the farms aim to support the local labour force and supplement the country’s income. Vegetable farming also thrives here; the produce grown on Coëtivy is sold in Mahé. Coëtivy is also a safe sanctuary for birds and turtles. The population of the Amirantes Islands consists mostly of temporary residents in the more economically important islands of D’Arros and Desroches. Parts of the Amirantes were once utilised for guano and copra production. Mining has stopped, but coconut plantations have survived. The islands are now a top travel destination. African Banks has been a breeding place for several seabird species. It is one of the few nesting sites for sooty terns, crested terns, black-nape terns and roseate terns in the Indian Ocean, but poaching activities caused a significant decline in nesting success over the years. The shallow turquoise waters are a popular fly-fishing area where giant trevally, bonefish, and pompano thrive. D' Arros is a haven for Seychelles fodies, terns, and lesser noddies, and a nesting ground for Seychelles giant tortoises. An observation post allows visiting scientists to study the indigenous wildlife. The island is private and has a coconut plantation that can be rented. It can be reached by charter plane or catamaran. Once a thriving coconut plantation, Desroches is now an exclusive resort offering hotel accommodation and private villa ownership. There are 10 suites, 26 villas, and three presidential villas. The island has a spa, an activity centre, a lighthouse, and its own airstrip. Desroches cultivates organic farming as its conservation advocacy. Poivre Atoll is dense with coconut palms and indigenous plants. Frigates, herons, lesser noddies, fodies, and terns populate its semi-lagoon. The island has an old coconut plantation and a small lodge and can be reached by boat or a helicopter from Desroches Island. It is also known as a good fishing spot. Remire Island is managed by the Island Development Company, which hires workers for island maintenance. There is a coconut plantation here which can be leased, and a few bungalows that can accommodate guests. The island was once mined for its guano deposits and is now more popular as a fishing site. St. Joseph Atoll was once a significant contributor to the country’s copra production, but its processing unit has now long been abandoned. The island is now best known as a great fly-fishing destination. Bonefish, giant trevally, and tunny can be found in the lagoon as well as offshore. Catamarans are used for fishing trips. The Alphonse group of islands got its name from the captain of a French ship that visited it in the early 17th century. The group consists of the Alphonse, St. François, and Bijoutier-St. Francois atolls. Coconut palms cover the small, triangular-shaped Alphonse Atoll. It has a large, sheltered lagoon where shipwrecks have been found. There is a working coconut plantation inland. St. Francois Atoll has a lagoon that is good for fly-fishing, while Bijoutier-St. François is ideal for picnics and bird-watching. It is an important haven for many migrating birds. The Alphonse Atoll is known as a great diving and fly-fishing destination. Its beach can stretch far and wide during low tides, the water creating interesting patterns on the sand. The atoll is dense with casuarinas and coconut palm trees. Its lagoon is a significant abode for several bird species and crustaceans. To protect its animal species, rehabilitation was done on the atoll, including the planting of indigenous vegetation. Integration of tourism and conservation is promoted here. There are also plans to lessen human activities such as hotel construction and operation. However, there are tourist accommodations on the atoll, most notable the Alphonse Resort. Visitors stay in well-furnished rooms and chalets, and go on bicycle rides around the island. St. François Atoll is a low reef cay not suitable for any serious economic cultivation. An attempt to start a coconut plantation here failed. It is best known as a fly-fishing destination where milk fish, giant trevally, and bonefish abound. It hosts several crab species and is a nesting site for hawksbill turtles. Bijoutier-St. François is a two-acre land lined with coastal shrubs and coconut palms. Its lagoon serves as an important sanctuary for frigate bird colonies, turtles, and giant blue mud crabs. The area is uninhabited by humans and will remain undeveloped for conservation purposes. Deep sea fishing is no longer allowed. The remote Aldabra Group consists of the Aldabra, Astove, Assumption, and Cosmoledo atolls. These were once thickly vegetated and home to numerous seabird species, tortoises and nesting turtles. 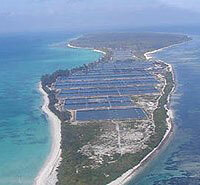 But guano mining and coconut plantation destroyed much of the atolls’ natural beauty and shelter. Aldabra was spared from exploitation thanks to its isolation and rough terrain. It is now a UNESCO World Heritage site and the protected home of the world’s largest population of giant turtles. The islands are uninhabited and are not much of a tourist destination. They are mostly visited for research purposes. Assumption has a landing strip for visiting scientists. Astove’s spectacular coral reefs are excellent diving spots. Cosmoledo, which consists of a dozen small islands, has the largest population of sooty terns in the Seychelles. UNESCO declared the Aldabra Atoll a World Heritage Site in 1982. The island’s difficult terrain has helped preserve its pristine, natural state. Human activity is strictly limited to scientific research and there are no commercial accommodations available. The natural laboratory here is maintained by The Seychelles Island Foundation. Guano mining stripped Assumption Island of its natural beauty for years, but the island is slowly recovering and turtles have returned to nest here. Remains of an old plantation can be found inland. Assumption is visited mainly for environmental research. A large airstrip lies in the centre of the island. The Cosmoledo Atoll is an important haven for masked and red-footed boobies and frigate birds. The coasts where Seychelles giant tortoises come to nest are covered in grass and scrubs. The once-inhabited atoll is known for its milkfish and giant trevally supply. Astove Island is surrounded by coral reefs enclosing a lagoon. Mangroves and caves can be found everywhere. There is also a small sand beach which serves as turtles’ nesting place. Copra plantation workers and guano miners inhabited the atoll once, and traces of their settlement remain. The island has a small airstrip used by charter planes. Seychelles’ Farquhar Group is made up of Farquhar, Providence, and St. Pierre atolls. Each outer island is surrounded by sand cays, lagoons, turquoise waters, and shallow coral reefs. The Farquhar Group does not cater to tourists, but it has a few resorts for divers. The beautiful island of Farquhar, with its abundant coconut palms, silvery beaches and clear waters, has a simple guesthouse for scientists. Important activities in the islands are coconut plantations run by the Islands Development Company (IDC), and fishing. The Farquhar Atoll is about a two-hour flight from Mahé. The airstrip, serviced by a charter plane, is at Île du Nord. The other islands that comprise the atoll are Bancs de Sable, Depose, Goëlettes, Île du Milieu, Île du Sud, Lapin, Manaha Milieu, Manaha Norda, and Manaha Sud. The atoll is not suitable for permanent settlement, as it has no fresh water, and the soils is not fertile. There are no accommodations, but living-aboard arrangements can be made. Its lagoon serves as a safe anchorage. Farquhar is known as a great fishing destination. Giant trevally and bonefish can be found in its waters. The Providence Atoll is surrounded by shallow banks that are great for game fishing. A large lagoon lies in between Providence and the picturesque Île Cerf, which is densely forested with casuarina trees and coconut palm trees. Two resorts and a few diving centres operate here. There is also a local community. 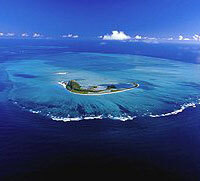 St. Pierre Island is a circular raised atoll with steep cliffs and casuarina trees. It is slowly recovering from the effects of guano mining that spanned more than 60 years. Access by sea is difficult, but there is a pier for small boats. There is also a small settlement here.